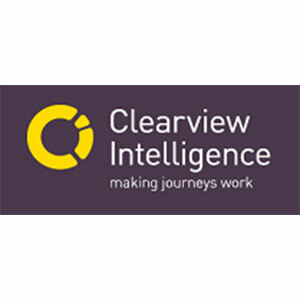 Clearview Intelligence delivers innovative solutions that harness intelligence, inform decisions and influence behaviour. Solutions that improve journey predictability, enhance safety, transform behaviour, reduce congestion and make parking easier. Intelligent solutions that combine first-class sensing technology, a powerful data and analytics platform and unrivalled service & support. We’re making journeys work. We are ISO9001 (Quality), 14001 (Environment), 18001 (Safety) accredited and National Highways Agency Sector Scheme 8 registered.